Designed by Alan Stevenson and built on the An Sgeir Mhor (the large skerry) which lies 11 miles south west of Tiree, this lighthouse was described by Robert Louis Stevenson as "the noblest of all extant deep sea lights." 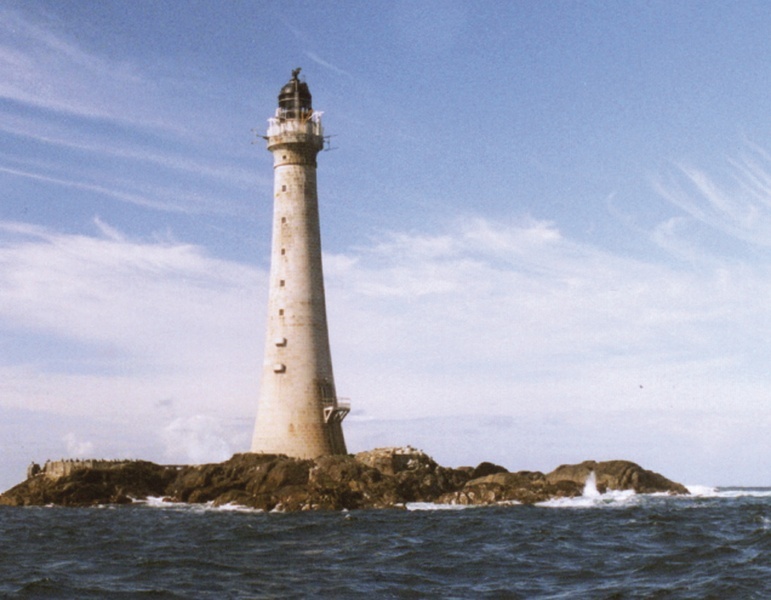 Skerryvore light is not only an engineering wonder - 138 feet tall and 58,000 cubic feet of granite erected on a tiny rock surrounded by boiling breakers - but a tower of unsurpassed grace and beauty. Work began in 1837 building a dock, workshops and lodgings at Hynish. In July 1842 the final stone was added to the 97th course of the lighthouse. So accurate had been the drawings that the final tower was only one inch taller than expected. In 1954 a fire gutted the lighthouse requiring a lightship to be anchored nearby until repairs could be effected. 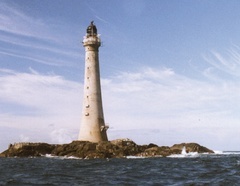 In 1994 Skerryvore lighthouse was automated.